The premium liqueur Xante is a perfectly balanced blend of sweet Belgium pears and cognac from specially selected French distilleries. 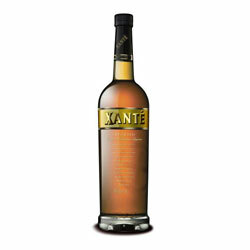 Xante is conceived with cognacs matured for four years in barrels made from the finest French Limmousine Oak that draws out the rich amber color and fragrant notes of spicy vanilla and pear. Xante is favourable consumed chilled in a martini glass or in a shot glass cooled over a bed of ice to preserve its seductively smooth character.